We’ve no time for Christmas until the first of December and the snow starts falling on our blog. As soon at that happens we’re in a frenzy of Christmas cake baking (meant to do it November but didn’t happen) and experimenting with possible dishes for the big day. We know not everyone is a fan of parsnips but if you’re a parsnip-loving family we highly recommend this easy variation on ordinary mash. The parsnips give the mash a lovely earthy flavour and it tasted great with our wintry beef & Guinness stew. The Northern Irish contingent in this household insists on the obligatory garnish of a generous blob of salted Irish butter. Boil the potatoes and parsnips until tender, then drain and mash with a large knob of butter and the double cream. Season well with salt and pepper. This is a great way to use up leftover roast chicken (or dare we say turkey?) and ham. Almost as good as the roast chicken dinner itself and we are definitely considering this as a dish to use Christmas leftovers. Wine Suggestion: This dish works well with a rich white wine. We tried it with an oaked Semillon, which on it’s own was delicious but with the pie the crisp acidity made it fall a bit flat. We’d suggest a good, oaked chardonnay instead which has much better weight in the mid-palate to work with the rich creamy chicken and ham. Yum. Melt the butter in a large saucepan over a medium heat, add the onion and fry gently for 8-10 minutes or until completely soft. Put a saucepan of water over a high heat and add a good pinch of salt. When the water boils, add the broccoli florets and cover until the water comes back to the boil. Remove the lid as soon as the water boils and cook the broccoli for 2-4 minutes or until just tender. Add the flour to the onion and whisk for 1 minutes, then pour in the cream and stock, whisking all the time. Bring to the boil, then simmer for a minute or two until slightly thickened. 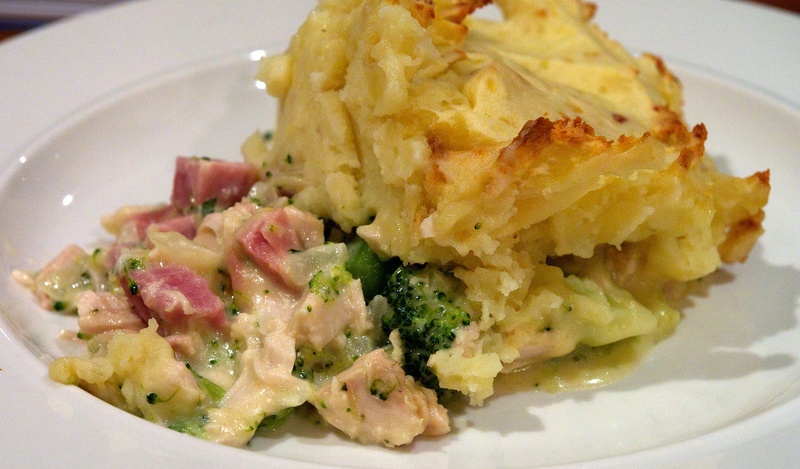 Stir the chicken, ham, herbs and broccoli in to the sauce and season with salt and pepper. Pour into an ovenproof dish (approx. 20 x 30 cm) and top with mashed potato. Bake for 25-30 minutes or until golden brown and bubbling. This was good served alongside a beef hotpot, but we daresay it’ll be nice against a few other dishes as well. Put the carrots, sweet potatoes and garlic in a large pan salted water, bring to the boil and cook for about 12 minutes or until very tender, then drain. Add the cumin seeds, butter and seasoning and serve. 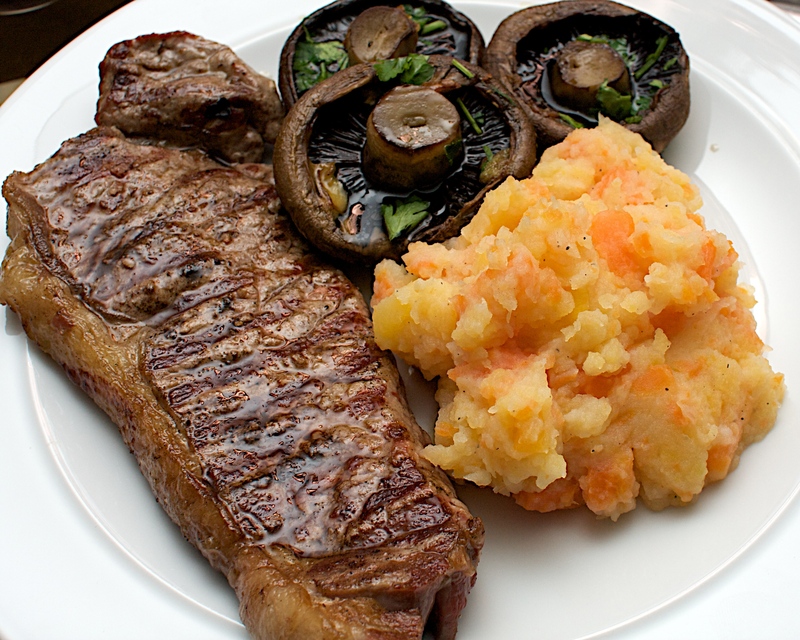 We don’t need to tell you how to do this, but we used sirloins which tend to be tastier than fillets and our trusty barbeque – I don’t know how we could live without it! This is really tasty and a nice change from the usual mash. 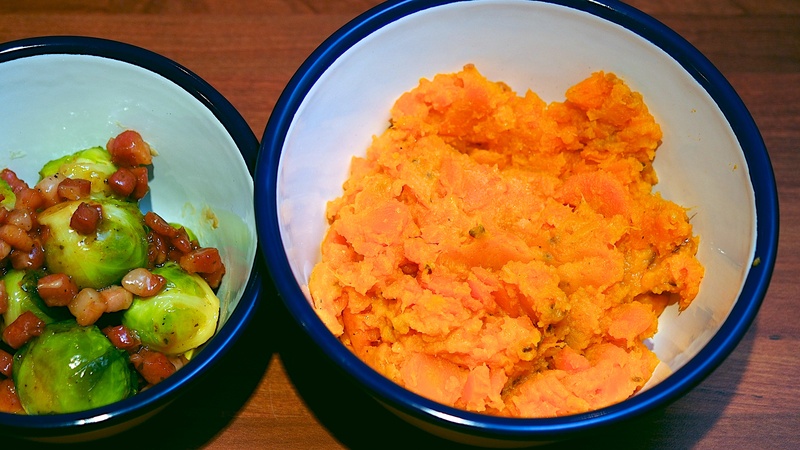 We’re using the leftovers for bangers and mash tomorrow night. 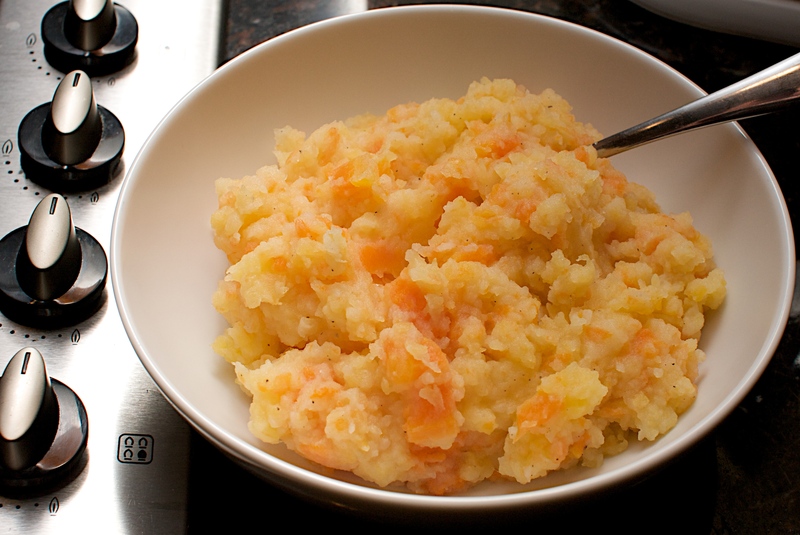 Put the potatoes, turnip and carrots in a large pan of salted water and bring to the boil. Cook for 20 to 25 minutes, then drain and mash. Add butter and plenty of salt and pepper. Heat the oven to 180C/fan 160C. Put the mushrooms in a small roasting tin and top with garlic and thyme. Sprinkle over the Worcestershire sauce and a little oil. Cover with foil and roast for 15 minutes. Discard the foil and toss the mushrooms around in their juice. Return to oven for another 20 minutes. Season and add lemon juice and parsley. 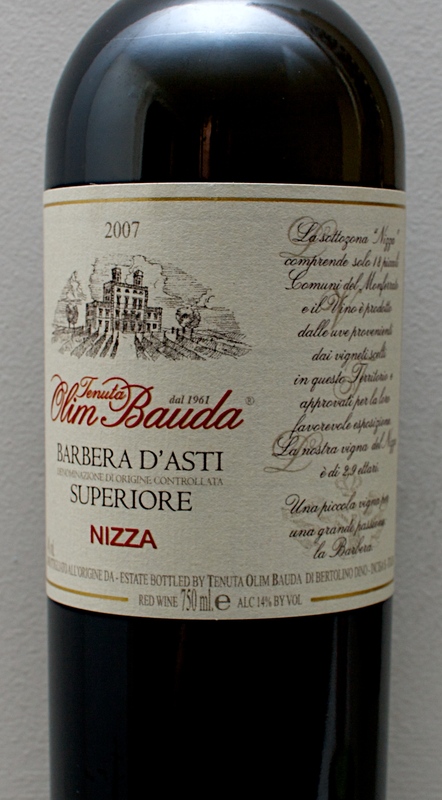 Wine Suggestion: This worked great with this Barbera from Italy: Tenuta Olim Bauda Barbera d’Asti Superiore, Nizza, 2007. From what is regarded as the best vineyard area for Barbera in Piedmont, Italy (the home of the grape) this wine has good depth and really nice personality. Aromas and flavours of dark cherries, chocolate, menthol, nuttiness, pencil shavings and tobacco. The medium body works well with the depth of flavours and the lovely freshness of acidity, which is common in Italian wines. A wine of charm and thoroughly enjoyed by us. Available from The Lighthouse in Whiteabbey Village, Newtownabbey for just over 20 pounds and well worth it.